The terrible saga of this horrible app continues. 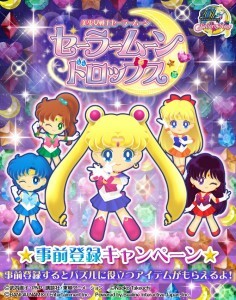 The official Sailor Moon Fan Club app is out for iOS devices. This includes a game. 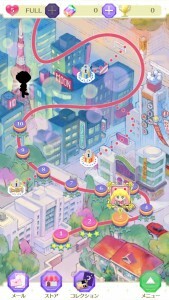 You will almost certainly not be able to play this game if you don’t live in Japan. Sorry. Here’s what the game you can’t play looks like. 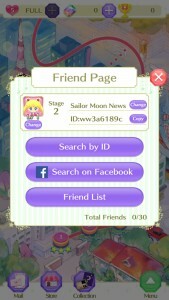 We’ve previously posted about the new Sailor Moon Fan Club app which was released for Android phones and then posted a review. 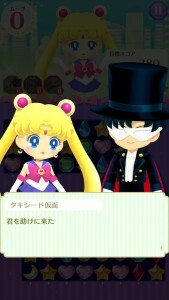 So much to say there is an official app which is exclusive to Japan which included a game which only worked for Fan Club members, which you needed to pay for and needed a Japanese address to be a part of. I then figured out that you could log in to the game with a free account, which you can’t make anymore, but I happened to have. That method doesn’t work anymore. It also doesn’t work on the iOS version for iPhones. You pretty much can’t play this game if you don’t have a paid Fan Club account. Still want instructions on how to get this game? You can download it from the Japanese iTunes store. This means creating a Japanese iTunes account. You can follow these steps to do it. I don’t reccommend you do because the app is a terrible waste of time that you can’t play, but you can do that. 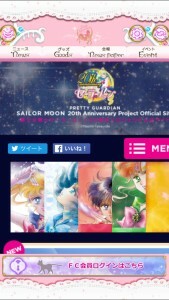 Once you load the app you will be able to view the Official Sailor Moon Site. 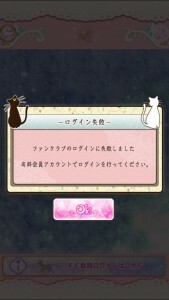 Click on the banner at the bottom of the screen which says “FC …”. You will be asked to log in. If you have an official Fan Club account you can play the game. If not you get this error message. 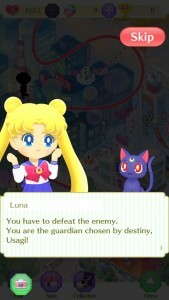 Just play Sailor Moon Drops instead. It’s not terrible like this app. 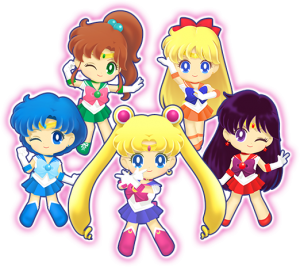 A new Sailor Moon video game has been announced on the official Sailor Moon site. 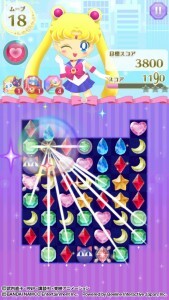 Sailor Moon Drops is a puzzle game for iOS and Android devices being released by Bandai Namco Entertainment. 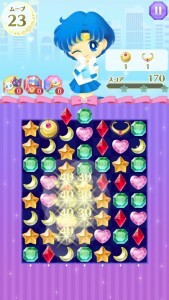 Based on the screenshot, probably has gameplay requiring the player to match similar types of objects into sets of three. 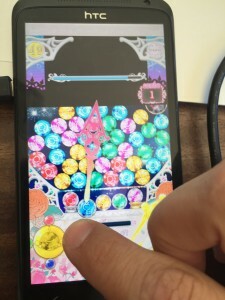 The most popular game this seems to resemble is Bejeweled which was itself inspired by the gameplay of a 90s game called Columns. The game will be free but it seems likely that it will have microtransactions, meaning that players will be able to pay to play longer or get some other in game advantage. There is currently no release date for this title. Currently the game is open for pre-registration. Why pre-register for a free to play game? Well according to the game’s official site, this will allow users to get a few exclusive bonuses which appears to be two booster sets and 10 gems. 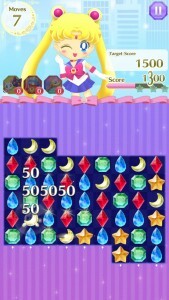 Many microtransaction games will have some sort of in game currency which is accrued while playing that can be used to unlock special functions, continue playing to bypass some sort of time out penalty or retry a stage after failing. 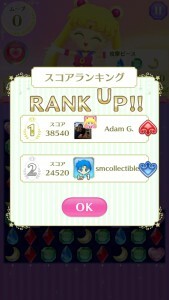 How common and valuable gems are in this particular game isn’t something we’ll know for sure until we get more information. If you intend to play this game you should feel free to pre-register through the official site. First select your device from the buttons and then select to pre-register through e-mail or Twitter. I avoided signing up through Twitter when it asked for authorization to post using my account and access my direct message history. I signed up through e-mail which included filling out my e-mail address in the large white text field and then clicking the red button at the bottom of the page. 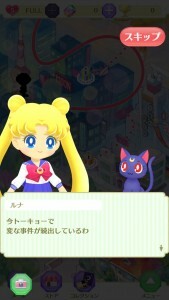 The confirmation e-mail that I receive mentioned, in Japanese, that a serial code would be sent to me once the game is released which can be used to unlock those exclusives. Many games are region locked in some app stores, which may be the case for this. For example if you have a non Japanese iTunes account you will not be able to use it to download games from the Japanese iTunes store. Since the game is not yet released we don’t yet know whether or not it will be region restricted. 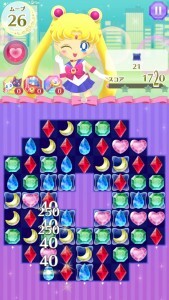 Bandai Namco Entertainment releases many games exclusively for North American and Japanese audiences, though many of their anime themed games which appeal to both audiences are in both app stores. It is easy enough to set up a Japanese iTunes account in order to download free games. This page has step by step instructions for doing so. I’ve successfully followed similar steps on my Canadian iPhone and am now able to simply switch from one account to the other in order to download Japanese games. 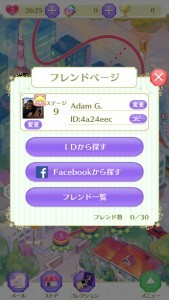 The Japanese games will play fine regardless of which account you are logged in to. Should this be necessary to install the game, I will repost the details once the game is released.